Insulation is essential for energy efficiency, and nobody knows insulation better than Carolina Energy Conservation. 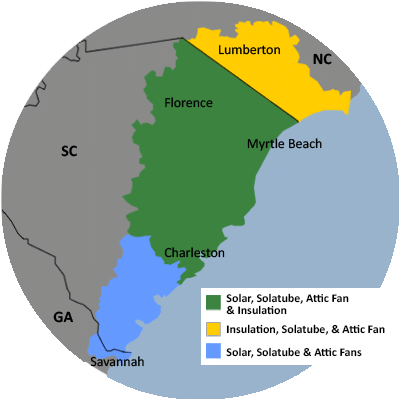 Call or email today to arrange for a Free Quote for home insulation in Myrtle Beach, Charleston, Sumter, and other areas including Bluffton, Florence, Mount Pleasant, North Charleston, Darlington, Beaufort, Goose Creek, and more. Be sure to check out our other content to help in choosing the best spray foam insulation and the best spray foam contractor in South Carolina & North Carolina. Call 1-855-410-0662 or contact us online to schedule a Free Quote for spray foam insulation in Sumter, Charleston, Myrtle Beach, Florence, Bluffton, North Charleston, Mount Pleasant, Beaufort, Goose Creek, Darlington, and nearby.